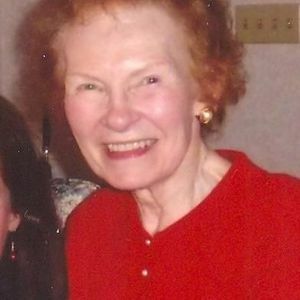 Rita Margaret Vonderhaar (née Osborne), 87, passed away Sunday, March 18, 2012 at Good Samaritan Hospital, Cincinnati, after a brief illness. Born April 25, 1924 in Cincinnati, the daughter of Joseph Benjamin Osborne and Josephine Klein, Rita attended Our Lady of Mercy High School. After working several years at Western & Southern Life Insurance Co., Rita married George E. Vonderhaar in 1950 and devoted herself to the care of her husband and family. She is survived by her dear husband George and by her children Mark, Tom (Nancy), Chris (Carol), Diane, and George (Jill). She is also survived by her sister Mary and by Ron Hertel, husband of her late sister Joann. Additional survivors include thirteen grandchildren: Lee, Dan and Sara Skierkiewicz and Kate, Bob, Liz, Meg, Anna, Joe, Kelly, Eric, Alex and Johnathan Vonderhaar. Rita was an enthusiastic flower gardener and had a special touch for indoor plant cultivation. An avid follower of current events, Rita took pleasure in reading and also enjoyed cooking, baking, textile crafts, and home decorating in many artistic media. Her favorite social activities included playing cards with friends and participating in important events in the lives of her grandchildren. A Mass of Christian Burial will be celebrated at Our Lady of Visitation Church, South Road at 10:30 am Thursday March 22, preceded by visitation at the church beginning at 9:30. Burial will be in Gate of Heaven Cemetery. The best remembrance of Rita will be to joyfully keep her in your hearts and prayers. In lieu of flowers, donations may be made to Our Lady of Visitation Church or to a charity of your choice.